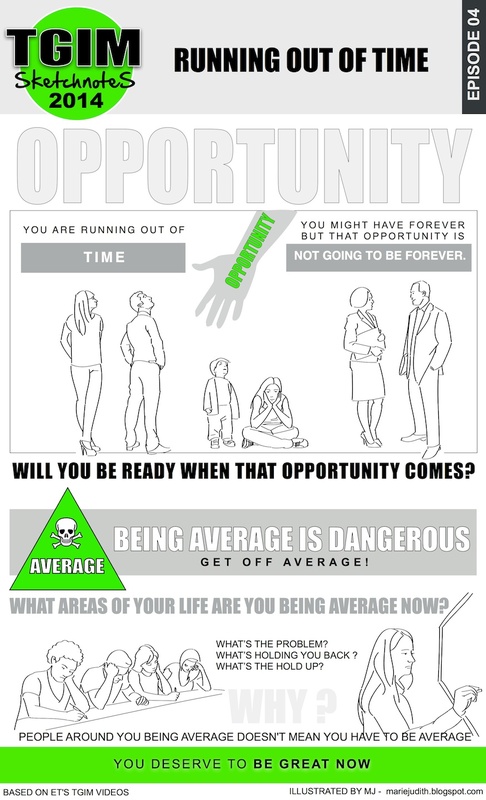 In this week's TGIM, ET's stresses the importance of being ready for the opportunities that become available to us, as well as the importance of avoiding getting comfortable with being average. None of the people I admire are average. They all seem to be perfectionists who go above and beyond to reach their goals, seizing seemingly every opportunity that come their way. It can be quite disappointing to miss an opportunity due to a lack of preparation. That's why it's important to keep working on our skills while paying attention to potential opportunities.